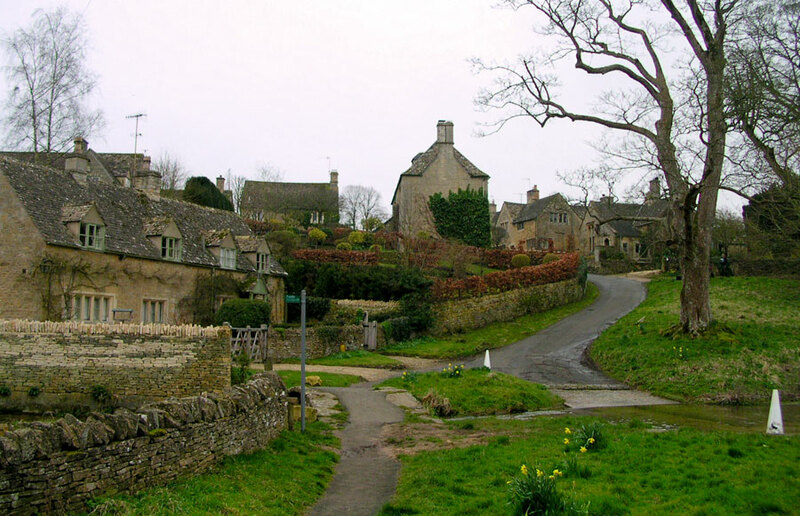 Just over a mile from Bourton-on-the-Water are the twin villages of Upper and Lower Slaughter. The name comes from old English 'Slohtre', which has nothing to do with killing things and means, simply, 'Muddy place'. Today's villages are far from muddy places. 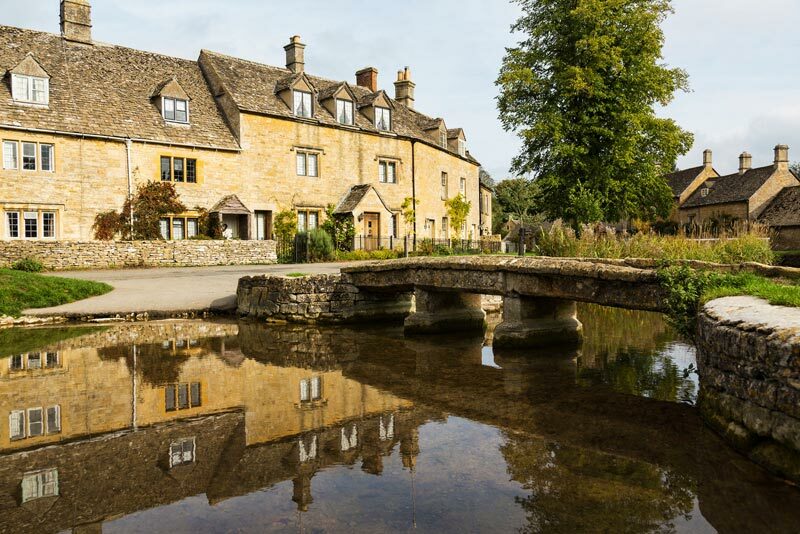 They are the epitome of idyllic, civilised Cotswold charm. Straddling the banks of the River Eye, also known as Slaughter Brook, the two villages have remained utterly unchanged for more than a century with no building work taking place at all since 1906. Unlike Bourton-on-the-Water there is little that is obviously for the tourist. 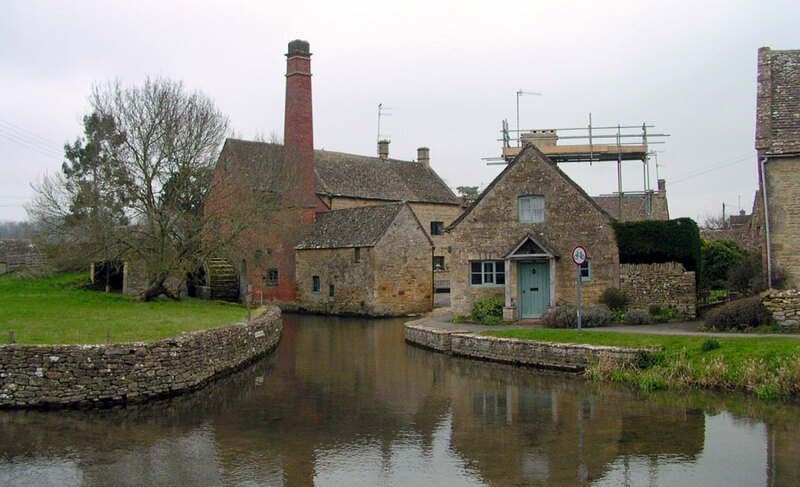 The only attraction is a restored nineteenth century flour mill in Lower Slaughter, where the River Eye meets the north-west corner of the village. The mill was last used commercially in 1958 and its tall chimney cuts an imposing figure. The chimney is made of red brick, in sharp contrast to the other buildings in both villages, which are made from the traditional Cotswold stone. The mill features a giant working waterwheel and has a tea room and ice cream parlour for visitors. The mill was originally part of Lower Slaughter Manor, which was built in 1658 for the High Sheriff of Gloucestershire. The Manor is now a grand country house hotel. 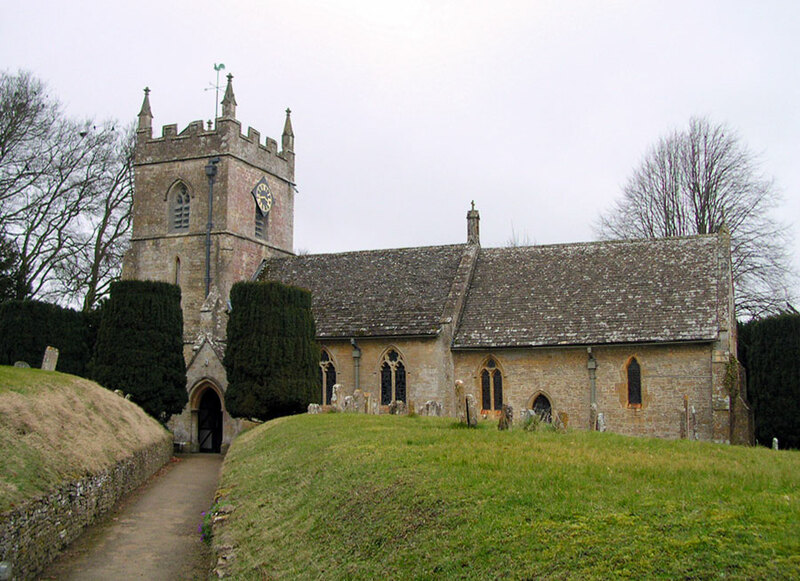 Lower Slaughter is home to the pretty church of St Mary. The church and its impressive spire were re-built in 1867 but some arches between the nave and the south aisle date back to the thirteenth century while the church of St Peter's, in Upper Slaughter, is a historic Norman church with parts dating from the 12th century . Francis Edward Witts, who wrote 'Diary of a Cotswold Parson', was rector of the Slaughters from 1808 to 1854. The less-visited Upper Slaughter lies, as its name suggests, minutes upstream from Lower Slaughter. The cottages around the square were reconstructed by the famous architect Sir Edward Lutyens in 1906. The River Eye flows between neatly-mown grassy banks and is crossed several times by quaint old bridges. There are charming stone steps leading into the river which must have been built to enable villagers to more easily get water and a tiny Methodist chapel dating from 1865 also nestles by the brook. It is now used as a pottery.